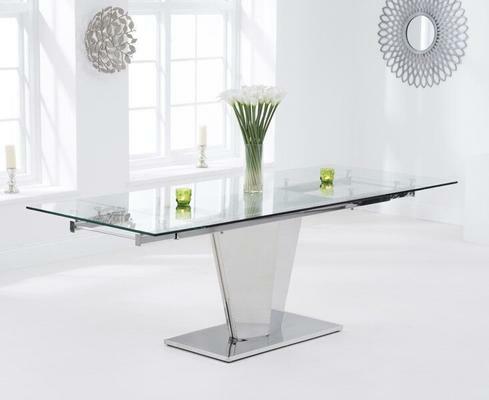 Beautifully combining sleek contemporary style with much needed versatility the Lucille extending dining table will be a valued asset in any modern home. 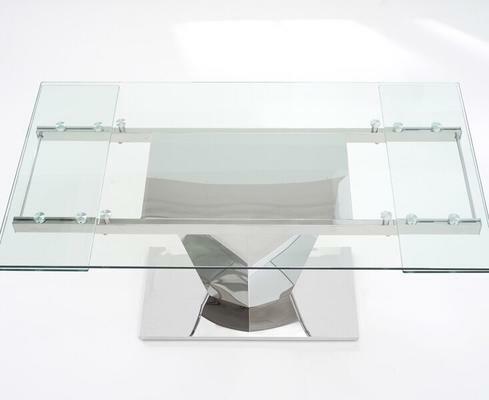 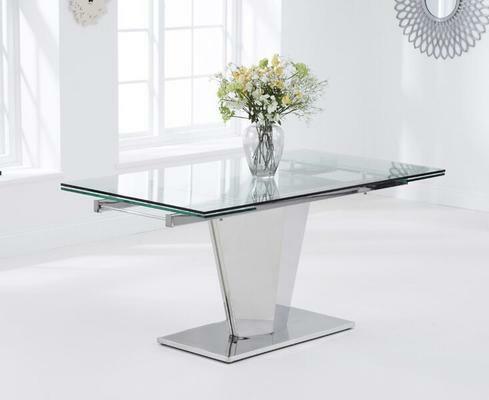 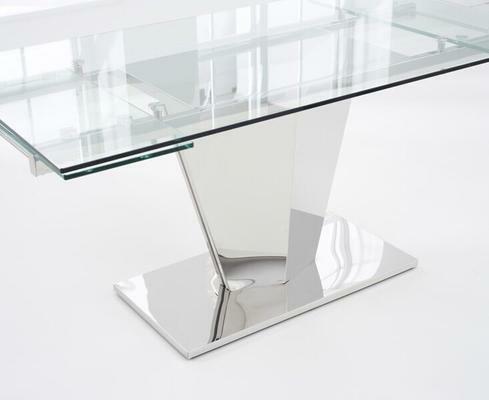 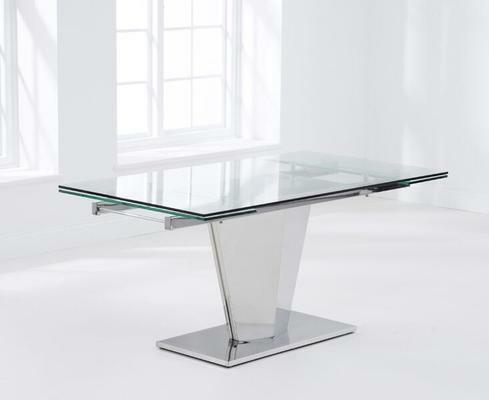 Supported by a truly striking stainless steel base this table features a sleek 12mm thick clear tempered glass top that will comfortably accommodate upto four diners. 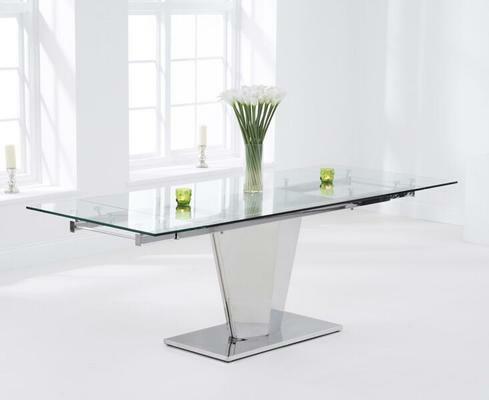 Crafted to the highest of standards and with a distinctly designer aura this table also incorporates an in built extension mechanism that allows the top to be quickly and easily extended to seat upto eight diners. 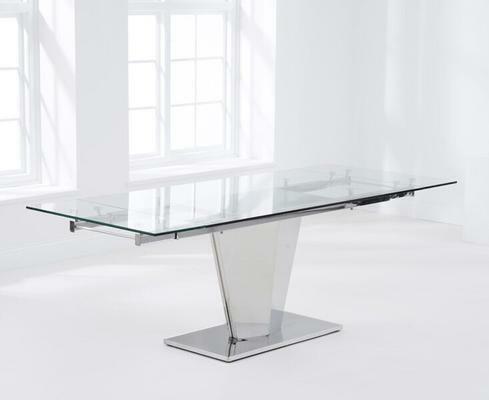 This table extends to 220cm.